Chinburg Properties is one of the area’s finest new home builders. 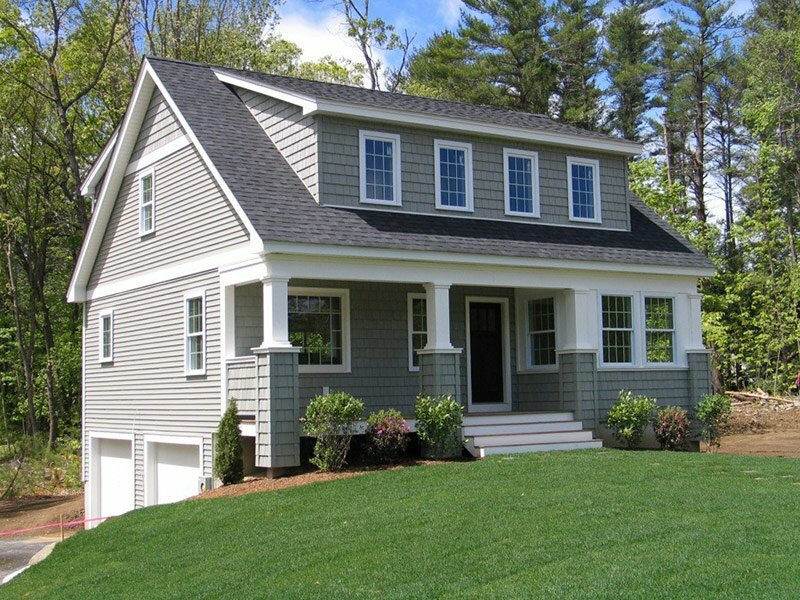 You will find our homes dotted throughout the New Hampshire Seacoast, southern New Hampshire, and southern Maine. Discerning clients choose Chinburg Properties when they are ready to build a new home, because they know that Chinburg Properties’ new home builders are experienced in creating beautiful, customized homes that last. Builders of new homes must act as guides, assisting their clients with decisions big and small at every stage of the home building process. Chinburg’s new home team will help you make choices about everything from number of bedrooms to bathroom tile. When you come in to talk with us about building a new home, we’ll talk to you about how you live and how we can build a home that fits that lifestyle. Do you need a cozy home for two or a large home with room to grow? Do you enjoy entertaining? Do you need a home office? A first floor master bedroom? How many generations will be living in the new home together? Based on these questions and much more, we’ll help you select one of our ArtForm home plans. If you don’t find something that’s a good fit, we’ll be happy to recommend a local architect who can draw up plans for the home of your dreams. We have our own in house CAD professionals who can make changes on the go, such as moving walls and reorienting bedrooms. When you build a new home with Chinburg Properties, we’ll be with you throughout the building process and beyond. We’re more than just a new home building company, we also have a design expert on our staff who will help you select your lighting, floors, tile, and more. Even after you move in, we’ll be there for you. Our lifetime homeowner hotline is always available to you—give us a call if you need a plumber, advice about replacing flooring, a preferred vendor for windows, or an architect to design an addition. We will provide our expert recommendations for almost any aspect of the care and keeping of your new home. Thinking of building a new home? Contact Chinburg Properties today. Our plans can be customized with your details, or we can recommend a local architect to create totally original plans. We’re with you from start to finish.